Sheena has moved to BC! Sheena, the ten year old AireGirl who thinks she is a puppy, is looking for her forever home in BC. She arrived on Sunday and has been wag-wag-wagging and offering everyone kisses ever since. 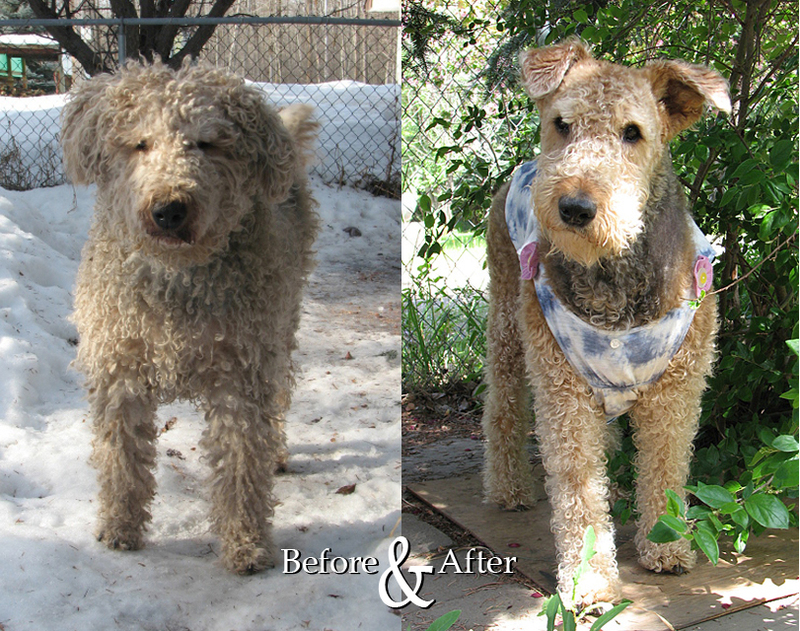 If you believe that you are Sheena’s special angel who can give this affectionate Airedale a forever home, please contact Maureen Scott for further information about this sweet girl!